History and Art most of the time go hand to hand. 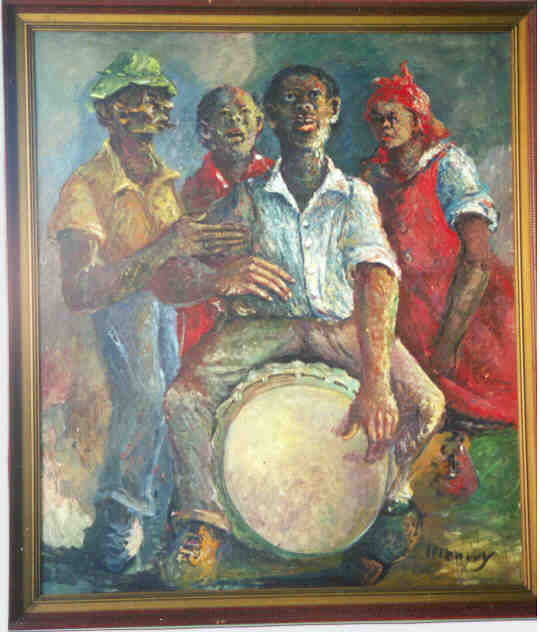 Irizarry was no exception to this rule he was an excellent painter as he also knew how to document through art the traditions and folklore of Puerto Rico for future generations. 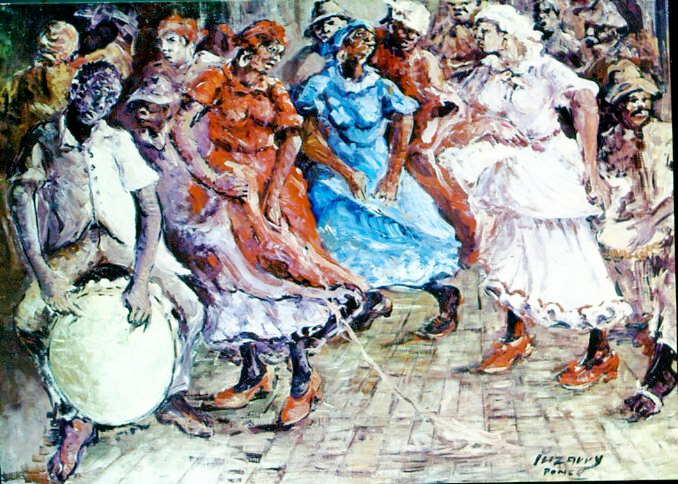 Veleros, Bomba, Flamboyan, and Peleas de Gallos are very common theme that Irizarry integrated on to his painting, while expressing a slight touch of a impressionist technique into all of his work which to me is a major plus because almost no Puerto Rican artist ever tried to master such complicated movement as the impressionist technique which he had a very good mastering. Watercolor painting has the reputation of being quite demanding. The accomplished watercolorist learns to take advantage of the unexpected results of the medium. 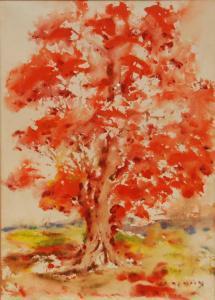 As practiced by most of its greatest masters, spontaneity is everything and Irizarry was a GENIUS when it came to this technique most of his work where watercolor painting which to me I have always consider him a watercolor artist. 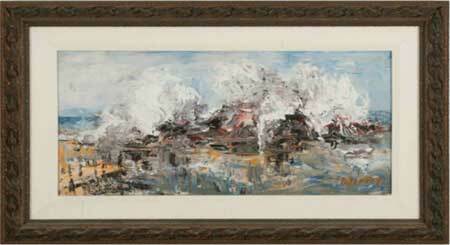 Like his teacher Miguel Pou, he devoted much of his life to artistic creation. 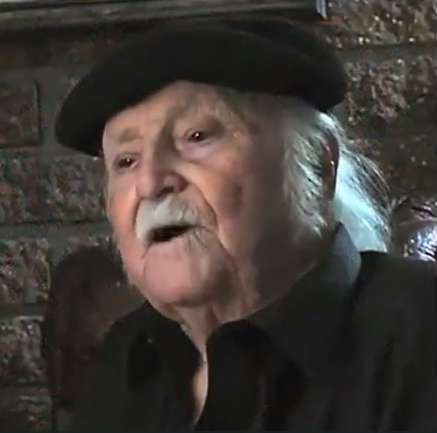 He had a preference for dark colors and theme neutralized that belong to the impresionist movement but it was more exclusive for his oil painting but when we talked about watercolor, oh boy!!! did we see color and the next photo are great example of his most common works. 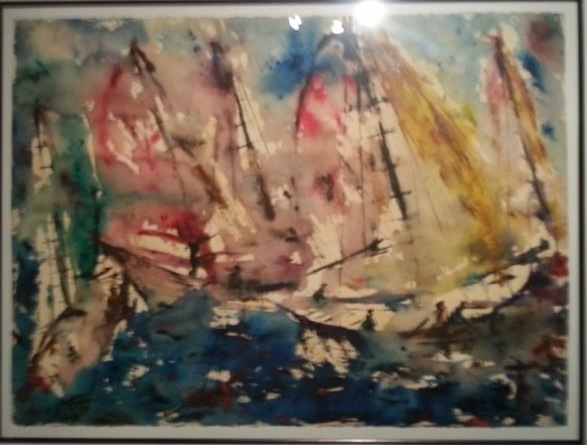 I consider Epifanio Irizarry beside being and artist a Great Historian, most of his early painting make me remember, early Puerto Rican roots “Bomba, Los Gallos, Piraguero” that have been lost to time and the fast life style that we are living. We as Puerto Rican can never forget our earlier roots and Irizarry clearly capture this in most of his Works. 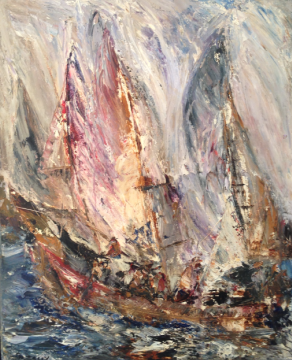 Today Finding a Good Painting by Irizarry is near to impossible, most collectors tend to stay with them and when one decides to surface for sale be prepare to pay a couple thousand dollars depending on the date, medium and size. 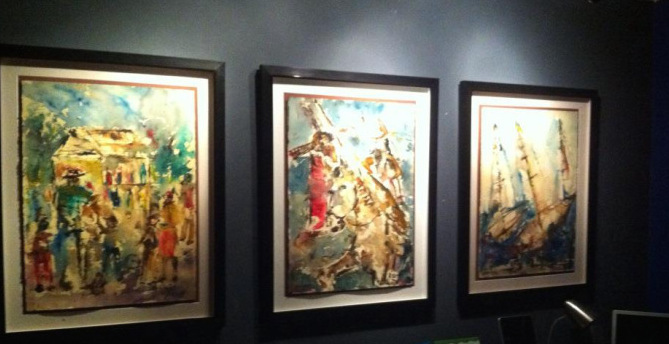 Investing in such artist is always a good investment, Irizarry is already part of the Museo de Arte de Puerto Rico, Museo Artes de Ponce collection and is a Plus for any Collector and lets not forget that Puerto Rico has not produce many watercolor artist and with out doubt Irizarry was one the best watercolor artist of our time and with the pass of time art work by him will become even more scarce thanks to the huge demand of his work.